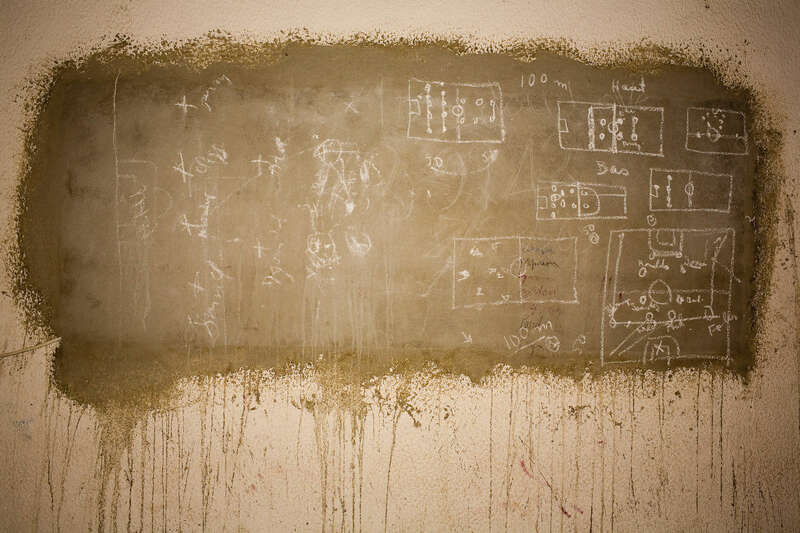 A football game plan on the wall of one of the changing rooms at the national Sylvio Cator Stadium in the capital Port-au-Prince. In 1974 Haiti won a place at the World Cup Finals. 33 revolutionary years later the impoverished country's under 17 team played at the FIFA U-17 World Cup Finals in South Korea.